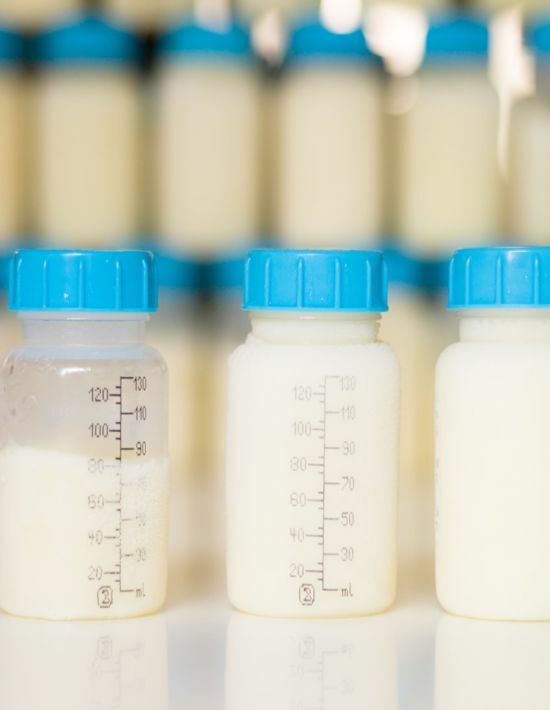 Breastfeeding workers typically need to express milk 2–3 times during an 8-hour workday to maintain their milk production and avoid health complications. Employees who are breastfeeding also require a private, clean space – that’s not a bathroom – to pump. If you do not have a private office or control over when you take your breaks, you may need to request an accommodation from your employer to take regular pumping breaks in a clean, private space. TALKING TO YOUR BOSS ABOUT YOUR PUMP? Thinking about how to talk to your boss about pumping breaks, private space, or other breastfeeding accommodations? View practical tips created by WorkLife Law and A Better Balance. Select the state where you work. Recursos en Español: Lea “Como hablar con tu jefe acerca tu extractor de leche materna” para obtener instrucciones paso a paso y consejos prácticos y expertos para hablar con su empleador sobre las adaptaciones que necesita para amamantar. Del Center for WorkLife Law y A Better Balance. WONDERING HOW YOU CAN PUMP AT YOUR WORKPLACE? Check out Supporting Nursing Moms At Work: Employer Solutions, an industry-specific guide from the U.S. Department of Health and Human Services about how to find or create private space in your own working environment. Are Breastfeeding Workers Protected by Law? If you are a non-exempt employee, your employer is required by the Break Time for Nursing Mothers Law to provide you with reasonable break time to express milk and a space that is not a bathroom where you can express milk in private without anyone intruding on you until your baby is one year old. If you are an exempt employee, you are not covered by the Break Time for Nursing Mothers Law, but you may still be entitled to accommodations under other laws. The federal Pregnancy Discrimination Act requires that employers give nursing employees the same freedom to address lactation-related needs as is given to employees with other medical conditions. For example, if employees are allowed to modify their schedule to attend doctor’s appointments or are given alternative assignments to accommodate temporary illnesses, the same accommodations should be provided to employees with lactation-related needs. Many states have their own lactation accommodation laws. Getting a note from your care provider may help you get the time and space you need to express milk for your baby. Unfortunately health care providers and lactation consultants are typically not trained in writing effective work notes for their breastfeeding patients. Download the guide below to share tips with your provider on how to write an effective work note to increase the likelihood you will receive the accommodation you need. Watch the webinar: Everything You Need to Know About Workplace Breastfeeding Law. The US Breastfeeding Coalition, the Center for WorkLife Law, the U.S. Equal Employment Opportunity Commission (EEOC) and the U.S. Department of Labor, Wage and Hour Division (WHD) came together on July 12, 2017 for the “Everything You Need to Know About Workplace Breastfeeding Law” webinar to discuss the laws protecting breastfeeding employees and the tools that can help support them. You may also contact A Better Balance’s free legal hotline in New York (212-430-5982) or Tennessee (615-915-2417) to speak with an attorney about your situation.